In the cutthroat world of business it always pays to keep a beady eye on the trends and latest news if you want to truly succeed. And the great thing is that in the 21st century, this is easy to do – thanks to the power of such mediums that the online world brings to us. Hyatt is an awesome guy – you’ve probably heard of his New York Times bestselling book, Get Noticed in a Noisy world (a book well worth a read). And the guy offers some amazing free advice through his YouTube channel. Podcasts, interviews with uber-successful folks of today, and some simply awesome advice programs are what you can expect to find. This guy is well worth following not only here – but on his blog too. This is THE man to follow of you’re looking for training and support in network marketing and all things entrepreneurial. 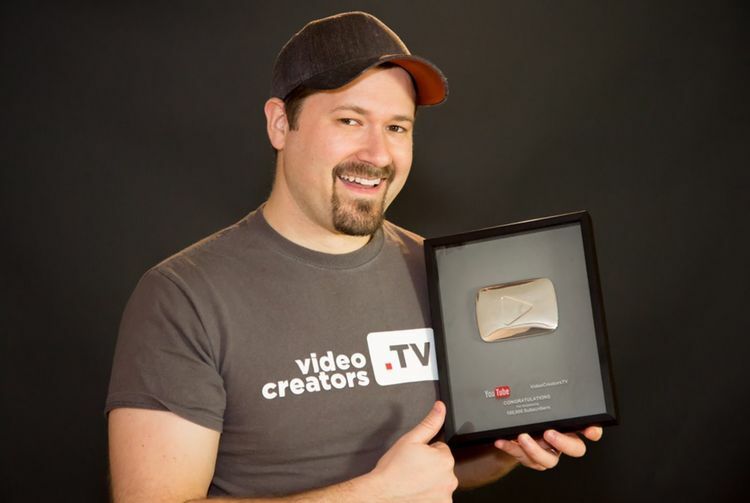 He’s prolific on YouTube, and you can expect new content on a weekly basis. He’s also the host of the world’s largest network marketing Facebook group – well worth joining for the additional expert info and community advice you’ll find here. Not so much a ‘business expert’, but certainly THE go-to channel if you want to discover the most effective way to use online video marketing to help your own business forge forward. In today’s online world if you don’t have an online presence then you might as well be dead! So understanding how to best do this is pretty much essential. And Schmoyer’s channel will show you everything you need to know. The list certainly wouldn’t be complete without a female presence, and Marie Forleo’s channel is simply awesome. This gal covers everything you can think of to do with business productivity, creativity, success, joy, and fulfilment. In other words, Forleo will inspire you to be the best business person possible AND be happy and healthy along with it. Because, let’s be truthful here, if you ain’t happy at work, then your personal life will suffer – and vice versa. Garland broadcasts on YouTube under the name, The Rise to the Top – and it sure is well named. The ethos of the guy’s channel is to provide vital info to mediapreneurs – in other words, those who use media to forge their business in the 21st century. You’ll find amazing content here – from the inspirational to the practical – he’s well worth a few minutes of your time on a weekly basis. This guy has an amazing following, and with good reason. He simply provides real, valid, fascinating advice that combines business expertize in an ethical manner. Martell’s channel publishes new content every Monday at 09:00 EST, and covers such topics as mindset, productivity, startups, customer development, fundraising, team building, and marketing to name but a few. If you only check out one person on this list, then make it Dan Martell. Halpern’s YouTube channel (called Social Triggers) covers the slightly alternative angle of business success – that of mastering the fields of human behaviour and psychology when it comes to marketing. Fascinating and brutally honest, if you want to sell your product, then this is essential information you need to master. Make no mistake, if you don’t get the ‘triggers’ that cause folks to buy, then you’ll never reach your full business potential – whatever field you may be in. OK, so you might not think of Burchard as being a business expert at first. But this guy is the most watched personal development trainers in the world, and followed by many successful business people. And for good reason! Because he’s one of the most successful online trainers in history! His YouTube channel provides prolific advice on everything you need to understand about how your own personal development has a massive impact on your business success. Ignore him at your peril – this guy’s a true gem!